DSR, in partnership with Cisco provides a secure, managed wireless network for businesses of all sizes. Whether you are managing a startup or a enterprise-size IT environment, your organization can have an advantage when you use a centrally managed network of IT solutions. 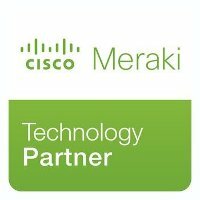 Here at DSR, we have partnered with Cisco Meraki to help you manage your IT infrastructure. Centralized Management - with the dashboard accessible from any web browser, a smartphone or by using a desktop computer, the Cisco Meraki Dashboard provides its users --- instant access to network troubleshooting tools and diagnostic tests so users are always aware the processes of their external and local internet. Bandwidth usage is no exception, any device and any ports are covered with the Cisco Meraki network. Secured Communication - Top-notch security is always our main concern. With all traffic monitored, Cloud Dashboard is protected by an encrypted and secured traffic layer. 100% uptime - The Meraki Cloud Dashboard is always available, online. Meraki has multiple data centers organized in a fashion that will reroute the traffic and delegate geographical priorities for every user regardless of the time of the day, whatever happens. Automatic Upgrades - The Meraki technology has the capability to automatically upgrade a device whenever patches are released, whether for security of functionality. Just think of us as your IT Department, we’re always here and ready to help! Contact us today to learn more about the Cisco Meraki wireless network solutions we have available to meet your needs.